It made me laugh and gave levity to the situation–but it is true. Usually a deputy will call for directions if they do have to come out this way. AND if you are in my neighborhood, we all tend to keep an eye out on the adjacent properties. So watch out! But the latest prowler to get beat up in Fawnskin was not a burglar but a trailer called a Prowler (which was manufactured by Fleetwood). 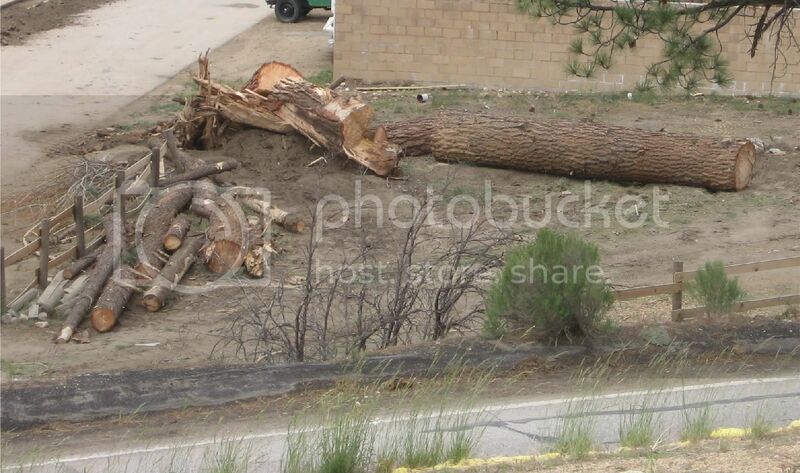 We got hit pretty hard by the storm on my hill and throughout different areas of the valley. However, the Prowler had been moved from its normal place to the lot adjacent to the old North Shore Tavern (and now defunct North Shore Brewery) parking lot. Alas, a tree went down and smashed the sucker. Now it is back where it used to be. Clean up efforts are currently underway and I’ll be glad when I don’t have to hear the loud noises of construction equipment any more. 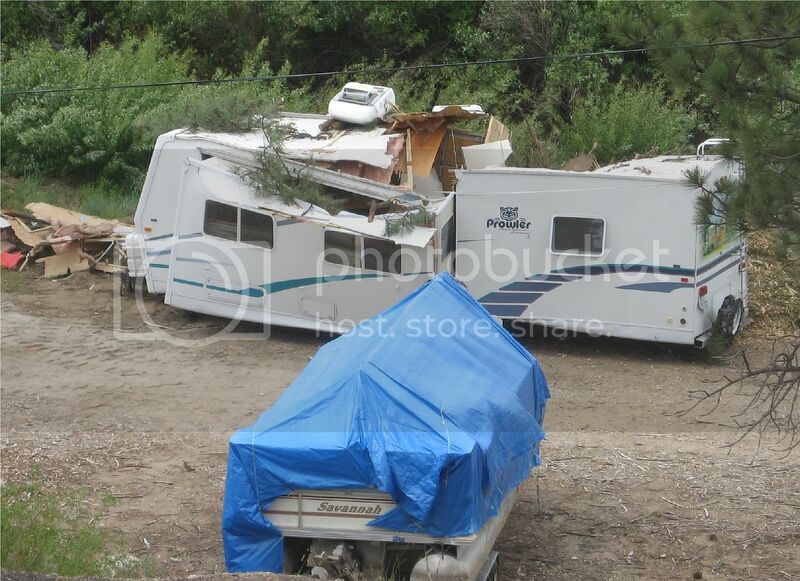 Sure hope that the trailer gets hauled away once the insurance adjuster takes a look because it is an eyesore along with the boat sitting down there. This entry was posted on Thursday, June 4th, 2009 and is filed under Mountain Lake Resort. I just had to laugh so hard I almost peed myself! Justice served!